Aug. 14, 2015, 12:05 p.m. The team at Digg is spinning up a new project to improve the way people discuss news on the aggregator. Specifically, the company wants to build a system that encourages conversation around stories and can help create community on Digg, instead of farming out that chatter to Twitter or Facebook. The idea, according to Digg design director Justin Van Slembrouck, is to do sprint-style development in the coming weeks to create the discussion platform, similar to the rapid process used when Betaworks relaunched Digg in the summer of 2012. This year could be a tipping point in how media companies employ reader comments and conversation. A number of publishers have either shut down or put their comments on indefinite hiatus. Other platforms, like Reddit, are imposing new rules to ban harassment or illegal activity. At the same time, companies like Parlio are invested in leveraging discussion tools in new ways. The Coral Project, a collaboration between The New York Times and The Washington Post backed by the Knight–Mozilla OpenNews project, is dedicated to creating new software to improve discussion and community engagement on news sites. 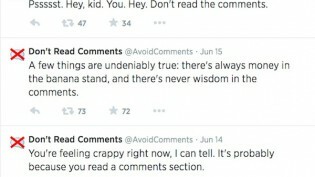 The first iteration of Digg’s new commenting platform is expected to debut this fall. You can sign up to follow the project — and be a beta tester — here. Ellis, Justin. "Digg is building a new commenting platform." Nieman Journalism Lab. Nieman Foundation for Journalism at Harvard, 14 Aug. 2015. Web. 19 Apr. 2019. Ellis, Justin. "Digg is building a new commenting platform." Nieman Journalism Lab. Last modified August 14, 2015. Accessed April 19, 2019. https://www.niemanlab.org/2015/08/digg-is-building-a-new-commenting-platform/.